Line a plate with a paper towels. Add an inch of oil to a deep sauce pan and over moderately high heat, fry the tortilla strips until crisp and golden brown, about 2 minutes. Using a slotted spoon, transfer the tortilla strips to the towel-lined plate and let them cool. 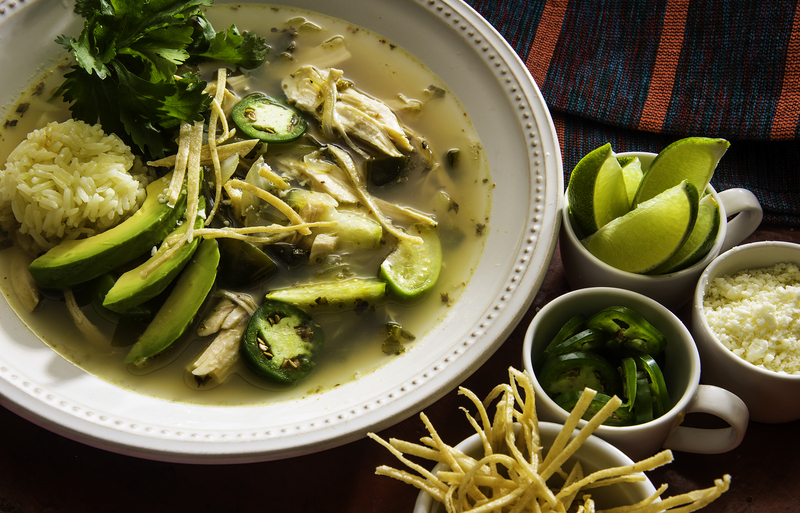 Ladle the soup into bowls, being certain to scoop some rice from the bottom of the pot, and serve with the lime, sliced jalapeño, crumbled Cotija cheese, sliced avocado, and tortilla strips on the side for each person to add bowl.